I’ve been to Sarajevo twice now. The first time was a few years back, in my first year living in London, on a ‘hey, why not’ two-day side trip while I was visiting my friend Laura in Zagreb. I think it was probably the first place where I remember being surrounded by sounds of the Muslim call to prayer each day. Certainly it was the first where I’d seen real evidence of recent death and destruction – bullet holes in the side of the apartment block down the street (and the one the next street over, and three more down there, and a handful around the corner), burnt out buildings by the river, and a city clearly trying to remember and deal with its past without being defined solely by those years under siege. I was a nerdy kid growing up, and while I certainly wasn’t sophisticated enough to have any real understanding of world affairs in my early teens, I was at least capable of understanding that watching the news was a thing that you were supposed to do if you wanted to think you were clever and well educated, and so I knew of Sarajevo. I knew of it as a place on the other side of the world – far, far away – where bad things were happening. And wasn’t it terrible; everyone agreed it was. Actually visiting Sarajevo that first time was an unexpected conflict of two completely different feelings. First, the sobering and distressing force of understanding that this wasn’t something that happened on a TV screen in your living room, to be discussed at a distance as a dispassionate demonstration of your compassion and intellect. Second, the realisation that this place that was so distant and foreign is a place you can actually go and touch and grapple with in the flesh. First, a feeling that you are small and there is more to the real world than you so far understood. Second, a feeling that the world is small, and that if you will, you can go out there and grasp it and try to understand it. 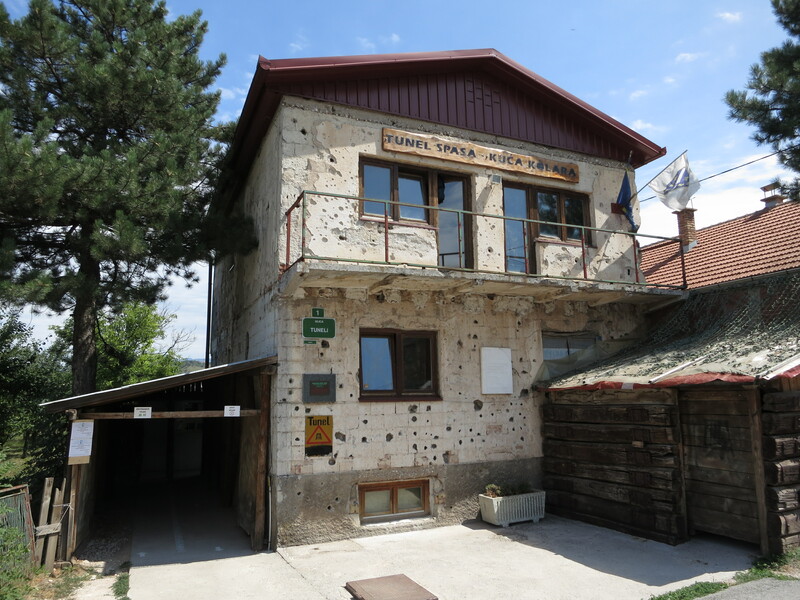 Probably the centrepiece of recent Bosnian history in Sarajevo is the Tunnel Museum: a home on the other side of the airport which housed the exit of the ‘tunnel of life’, which was the tunnel under the runway which connected the besieged city to Bosnian forces on the outside. I will always associate Sarajevo with my memory of visiting that museum with my Croatian friend and also with two Serbian girls staying at the same hostel, the four of us guided by the Bosnian hostel owner, from whom the siege had stolen a significant portion of his teenage years. The four of them discussed their relationships to the region’s wars: growing up as Yugoslavia fell apart, all four with family involved in the conflict, all four immediately affected, but not all four on the same side. I listened quietly (and hopefully respectfully), wrestling with a complete inability to even begin to comprehend what it would be like to have lived that childhood. So my second trip to Sarajevo had a lot to live up to. It is still a city of bullet-riddled apartment blocks. 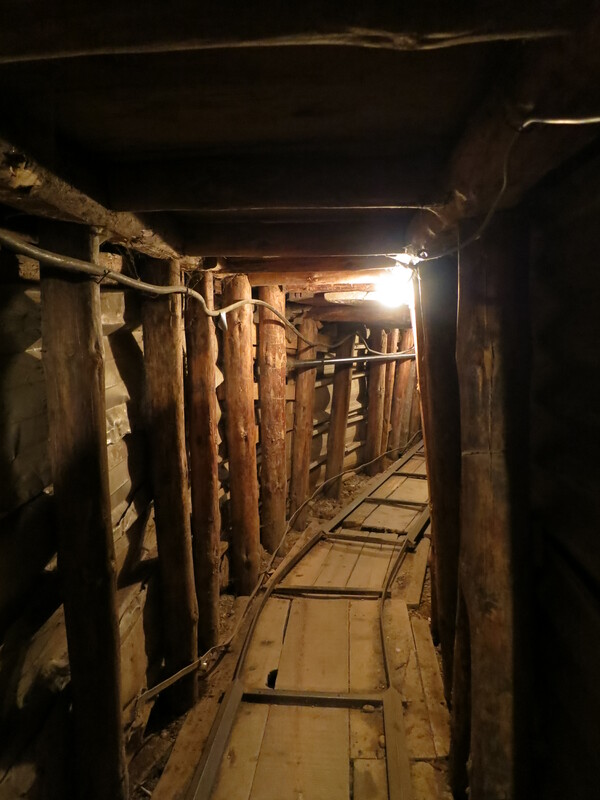 The Tunnel Museum is still an incredible reminder of a tragic horror (although our guide this time – again a local who grew up in the besieged city – was perhaps a little more out there with some of his conspiracy theories than the carefully considered view I had from our guide the first time around). And the Bosnian capital is still a beautiful city, full of amazingly friendly people, good coffee, and mouth-watering food. A little more well-travelled now (and travelling through in summer rather than winter), this time I noticed the touristy influences more: Sarajevo is on a lot of must-see lists (not least with a vigorous recommendation from Lonely Planet), and there are a lot of people must-seeing it. 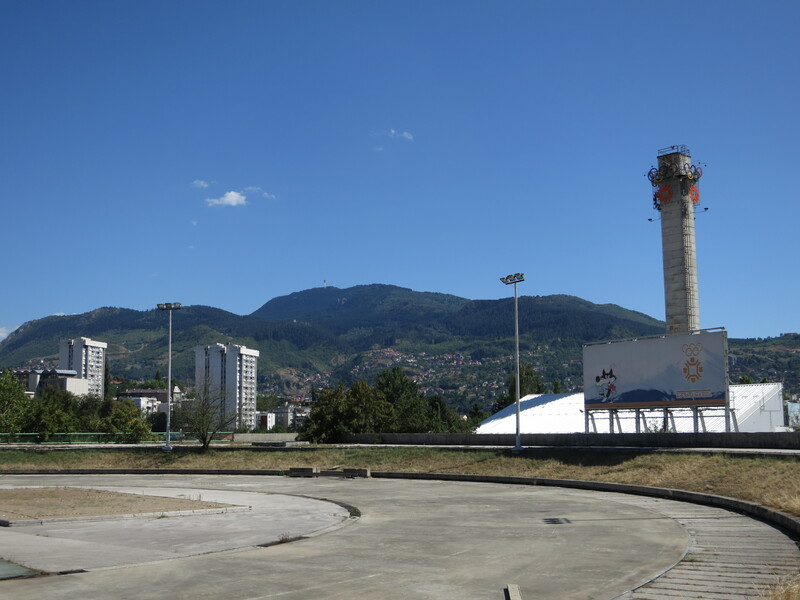 Except for the minarets, much of downtown Sarajevo could easily pass for any other European capital, too, such is the extent to which it has recovered from its suffering in the early nineties. And this time I saw in the city the remaining political divisions which I hadn’t noted on my first trip: this time we bussed in from Belgrade, so arrived in the bus station in the Serbian (Republika Srpska) half of the city, over the hill and – geographically and politically – thoroughly separate from the (main) Bosniak half. Leaving, this time, I remained firmly of the opinion that Sarajevo is a truly fascinating city. And that they really do have some fantastic eateries in the old town especially, incredibly touristy though it may now be! 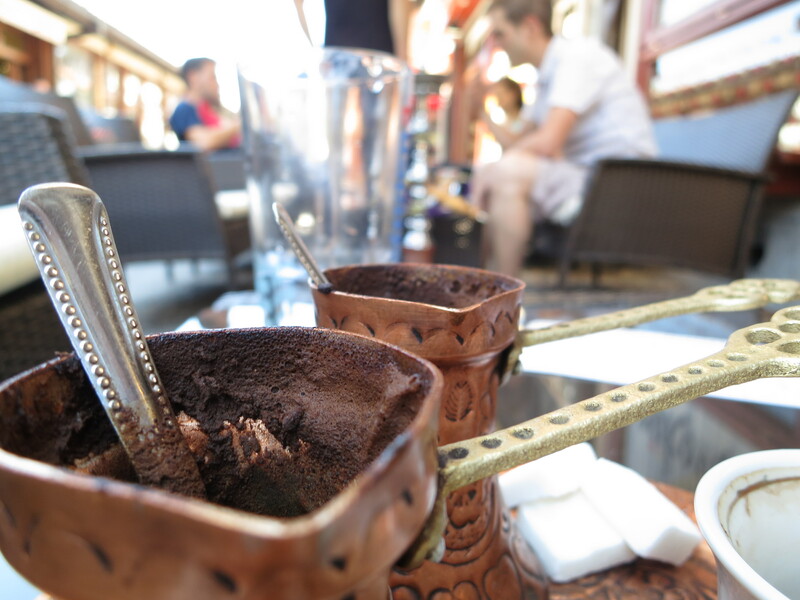 This entry was posted in Travel and tagged bosnia and herzegovina by Sam Roberton. Bookmark the permalink.